Ikot Abasi, also called Opobo, formerly Egwanga, port town, Akwa Ibom state, southern Nigeria. The town lies near the mouth of the Imo (Opobo) River. Situated at a break in the mangrove swamps and rain forest of the eastern Niger River delta, it served in the 19th century as a collecting point for slaves. In 1870 Jubo Jubogha, a former Igbo (Ibo) slave and ruler of the Anna Pepple house of Bonny (28 miles [45 km] west-southwest), came to Ikot Abasi and founded the kingdom of Opobo, which he named for Opobo the Great, a Pepple king (reigned 1792–1830). 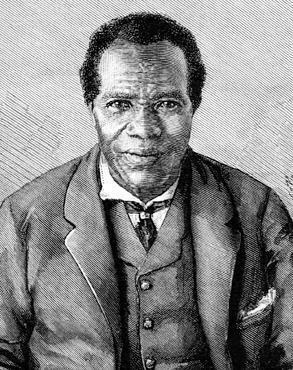 Also called Chief Jaja by Europeans, he destroyed the economic power of Bonny and made Opobo the leading power of the eastern Niger delta oil-palm trade until he was deported in 1887 by the British, who established a trading post at Opobo Town, 4 miles (6 km) southwest, on the west bank of the Imo River. Modern Ikot Abasi serves as a trading centre for the yams, cassava (manioc), fish, palm produce, corn (maize), and taro produced by the Ibibio people of the area; it also is known for boatbuilding, although a sandbar partially blocks the entrance to its port from the Gulf of Guinea. The town is linked by highway to Aba and Port Harcourt. Pop. (2006) local government area, 132,023. It was in Cross River state (Akwa Ibom was later carved from Cross River) when I was there, back in 1990, visiting my then girlfriend who was doing her post-University National Youth Service. We took a Toyota taxi van from The University of Port Harcourt, where I was living with my lecturer Dad. For a variety of reasons the trip lives lushly in my memory, not least because of the gorgeous tropical setting (We were in the rural part of Ikot Abasi). I was also aware of the area's rich history, centered on Opobo, where "King Jaja" went from captured Igbo slave to local leader, undertook an extended campaign of defiance against the British, was eventually captured through deceit and sent into exile. In a few days there I read a lot and wrote a few poems, including one about Ikot Abasi itself. This week YB Poetry published my poem, Ikot Abasi Redux, written a couple of years ago as a sort of echo of that poem I wrote in 1990. That earlier poem, written when I was still a teenager, isn't really publishable in any proper journal, but I thought this a good time to post it in this informal setting as a sort of bookend to the "Redux." You can see the themes I carried into the more recent poem. Wide-eyed at the brown, the chlorophyll. Shows roots here like the ageless, sprawling tree in shallow soil. A poem that is not a tree is grass or birophyte. Is ringed by lesser stalks and shoots that struggle to the light. The poet's business lies in rearing oaks to dine the mind on. Flowing through the veins of leaves. The hoe, the hollow ikolo. I really appreciate your good work on Ikot Abasi Local Government Area. One thing I notice here is that the name of the man who petition for the change of name Opobo to Ikot Abasi is not mentioned here.